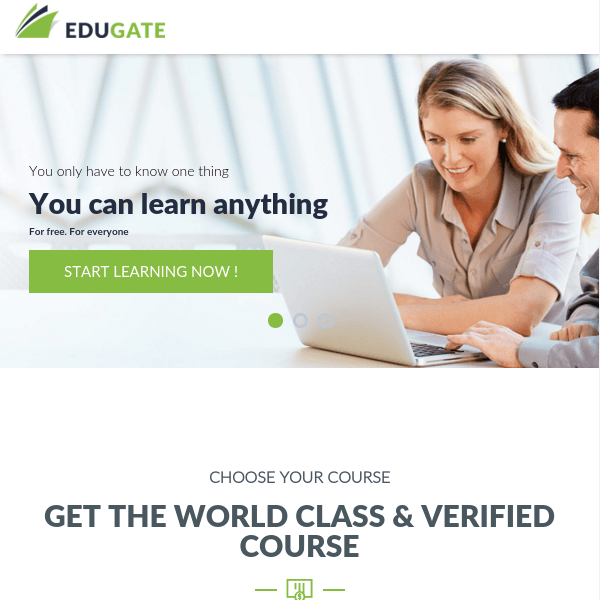 EduGate is a multifeatured Education WordPress theme suitable for websites of school, library, training center or even a private instructors, tutors. This theme is coded such that it will adapt any screen resolution with its responsive design. This theme is also retina ready means along with devices ranging from desktops, laptops, tablets to mobile phones it is capable of adapting iPads, iPhones as well. It is a well documented theme that will guide you in building site with it easily. The most important feature of this theme is that it is included with a page builder plugin called Visual Composer (worth $34) for free which comes packed with a set of elements that can be used to design any page layout with drag and drop ability. Some elements are Row, Separator, Text Separator, Message Box, Facebook Like, Google+, Pinterest, Tweetmeme, FAQ, Single Image, Image Gallery, Tabs, Accordion, Icon Element, Posts Slider, etc. This theme is included with Slider Revolution plugin(worth $19) for free. 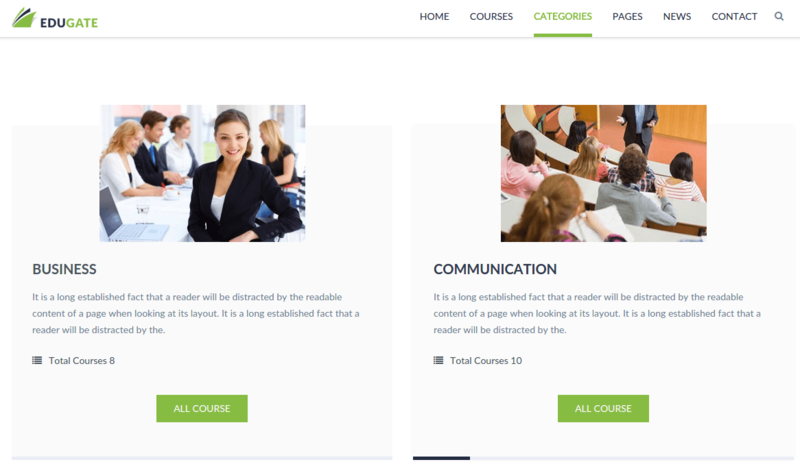 It is included with 3 homepage layouts, Courses Custom Post type with list and grid layout, categories page has 2-4 columns layout, etc. 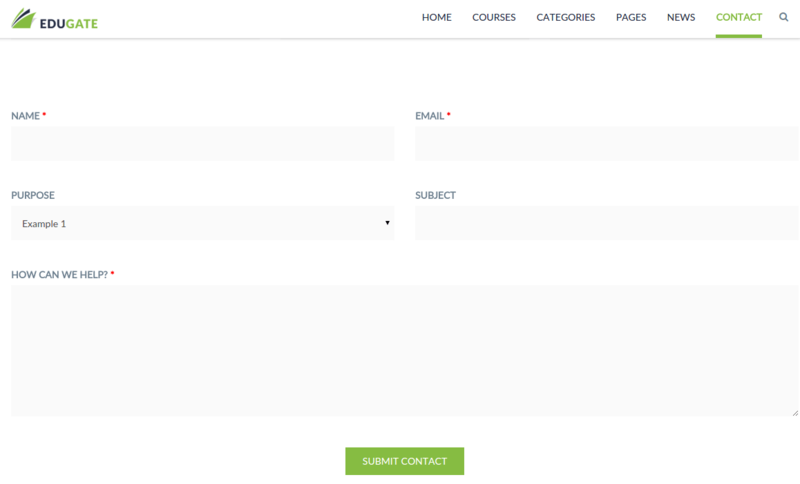 Page templates for login, register, 404 error page. Blog page layout: Blog list with left/right or no sidebar & Blog detail with left/right or no sidebar. I really appreciate the work done by developers. This is very attractive and best theme. 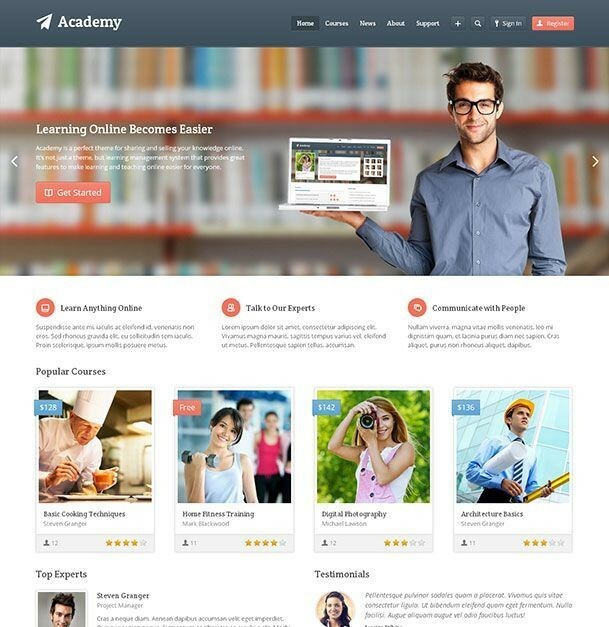 I have used this theme for education institute and it suites perfect for it. Great quality theme, easy to customize, accurately responsive and very well designed.